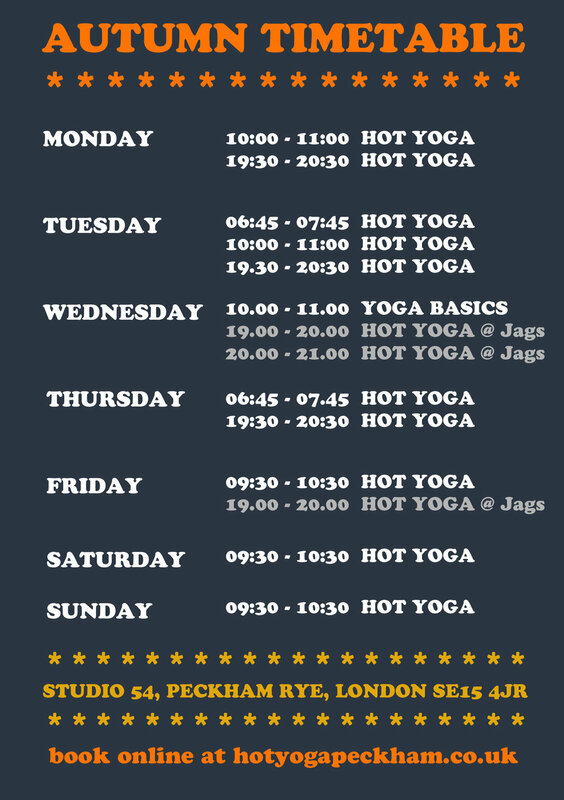 Our early morning 30min Espresso sessions are changing to 60min HOT YOGA classes (Tues & Thurs). These sessions will combine an energising power yoga session with a little extra time for pranayama, meditation or a longer savasana to give you more headspace. It's an invitation to start your day right with calmness, clarity and joy. Tuesday mornings 10am class is back after summer holiday break. Private yoga lessons are re-scheduled Mon, Tue & Wed at 11:15am with some extra evening slots (Mon & Thu) so please get in touch directly if you're interested. PLEASE remember that all customers can also practice at Jags Sports Club on Wednesday or Friday evenings - just book via the website in the usual way!